Can The Bose L1 Compact PA System Really Fill A Small Venue With Perfect, Even Sound? The Bose L1 Compact Portable Line Array System is an interesting concept for any performer working in small venues because it is advertised as a modern product that takes away the bulk of sound equipment and transforms a PA system into a compact, transportable product that still has the quality of sound expected from this brand. 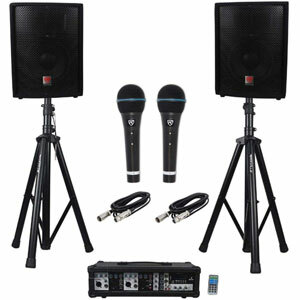 This system includes an integrated bass speaker and amp and has four inputs and two outputs for increased versatility. This all sounds like a lot to ask of a tiny system like this so what do buyers actually think of it? What benefits have performers enjoyed when testing out this Bose L1 Line Array System on the stage? When discussing the positive points of this system, it is important to look at two of the promises that Bose have made regarding this much-desired portability and the quality of the sound as well as the stated main purpose, that this is a system “ideal for live sound in smaller spaces with audiences of up to approximately 100”. Many buyers agree with this assessment by the manufacturers, saying that it has adequately filled a room of around 100-150 people with no decline in volume or quality at the back of the room. This benefit is no accident because this Bose L1 Compact Portable Line Array System is deliberately designed to deliver an “even” sound but what is more of a surprise to users is that there are hardly any feedback issues to report and that it does a good job of producing the highs, mid range and bass required for a small venue. The other important promise other than this even sound is the following: “one-trip portability; one-minute setup”. Again users concur, saying that it is incredibly portable and user-friendly with its compact size, lack of additional equipment and 29lb weight and that it is very easy to set up and take down again. There are a few items to put together, as the whole package includes the L1 compact power stand, L1 compact loudspeaker array, L1 compact extensions and power cord, but it does also have a slip case and carrying bag. Additional benefits worth noting are that bands have been able to use this in small capacity venues with success, as they could all plug in their microphones and instruments and still hear a clear result, and that it also has an input jack for iPods and laptops. This L1 Compact Portable Line Array System seems to be ideal for situations with a small crowd and a quieter setting. Does it have any underlying flaws to be aware of? There are lots of benefits seen with this system but even the satisfied buyers will point out that once you try and push it beyond its initial purpose, the cracks will start to show. One example of this is the bass; as is seen above, there is enough to produce a overall high quality that balances the sound but there is no way of pushing it further for bass-heavy DJ sets. Another common complaint is the lack of extra features and effects, most notably the fact that there is no built-in reverb, and that users will need to plug in separate equipment for this purpose. Despite these two downsides, many buyers are refusing to deduct stars from their reviews because they are not problems with the product’s design or performance but rather simple, deliberate omissions that were likely made because – as Bose have pointed out – this product has a different purpose than filling large rooms with heavy bass. Summary: do this small considerations mean that the appeal of this Bose L1 Compact Portable System diminishes? This compact little system does have its limitations for those wanting big crowds, high volume and lots of bass but, when it comes down to what it is actually designed to do. Which is essentially to provide a small, easy-to-use system for even, high quality sound in a small venue – it really does perform to the best of it ability and has many low-key, solo performers singing its praises. 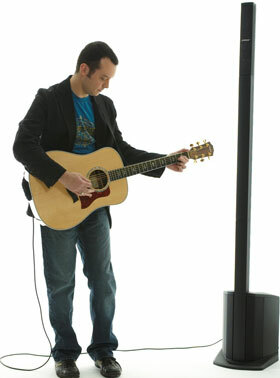 In short, this Bose L1 Compact Portable Line Array System is not recommended for use by all performers but those whose styles and needs fit into the key target market should be more than satisfied with the performance thanks to the clever portability, impressive sound quality and general convenience. 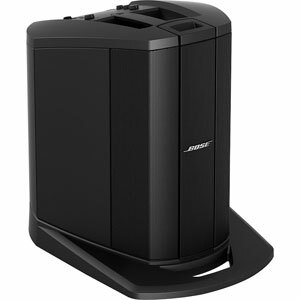 Find more customer reviews about the Bose L1 Compact Sound System on Amazon here.